Happy Tuesday, friends! I know I posted this story in last week’s Friday Fitness News but I just cannot get it out of my head. Please take a moment to read the entire story, but I’ll sum it up for you. 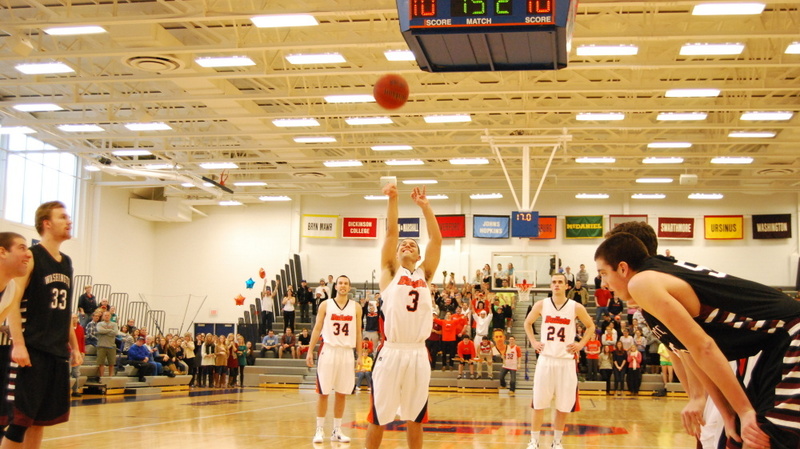 Cory Weissman, a basketball player for Gettysburg College, suffered a major stroke during his freshman year of college very shortly after playing his first game for the team. He worked for four years in grueling physical therapy to get back on the court. He attended games, worked his way up to doing drills and even got to the point where he was running warm-ups and shooting hoops with the team. As a senior, he dressed every game but played exactly zero minutes. On senior night a few weeks ago, he started for his team. His coach only played him for a few token seconds at the beginning and the end of the game, but then the opposing team’s coach did something amazing. With a few seconds left in the game, he told his team to foul Cory as soon as possible, sending him to the free throw line. Cory missed the first shot. But he sunk the second shot. Those coaches are Class Acts. You know these people. They go above and beyond to make someone’s day, to spotlight someone else’s special achievement, to make someone’s day. It doesn’t take much, a kind word here or holding a door there. But you have to look for the opportunity to do it and DO IT. These coaches saw an opportunity and each, in their own way, showed that they are Class Acts by seizing that opportunity and making this young man’s dream come true. These Class Acts are a breath of fresh air for this New York girl. They remind me that there are sincerely good people in the world who are willing to go out of their way for someone else. Class Acts remind us all to be better. To seize the opportunity to reach out and change someone’s life, make someone’s day. They make today Better Than the Alternative for sure. Have you done that, even in a small way? Have you made someone’s day? Highlighted another’s achievement? It’s not that hard to do. I hope that if the opportunity presents itself that you will take the chance to be a Class Act. Be on the lookout for that chance! I know I am. That is such a great story! I definitely needed this reminder – that there are those out there who look for the opportunity to help and boost others up rather than avert their eyes and walk the other way. Thank you for sharing.